Here is my second shot at a world map. This one just focuses on terrain types rather than actual symbols. Anyway, I just wanted to know if you were OK with this. If yes, I’m gonna send you an e-mail, so you know which map I’m using and where ! Sure Michael, as long as it’s non-commercial that should be fine. My maps use this creative commons license. 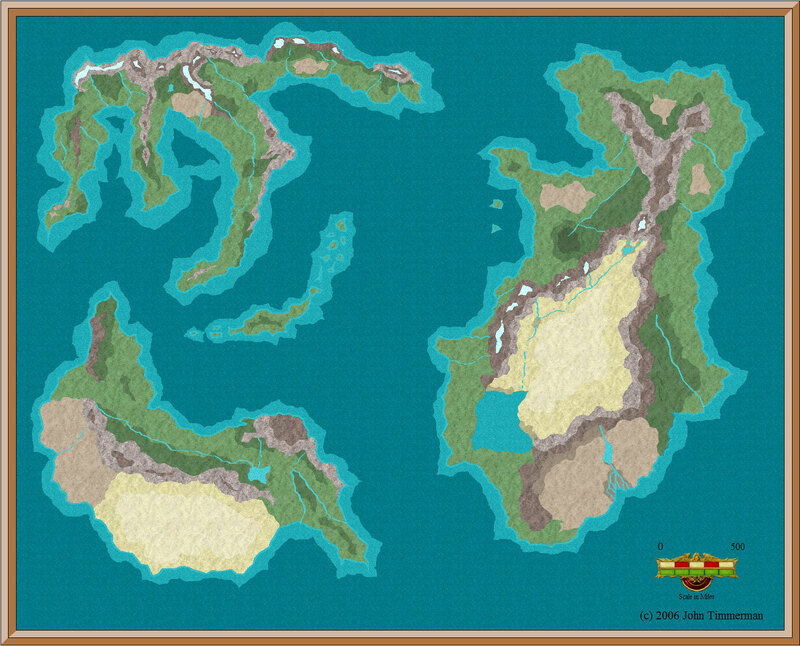 i just wondered if u would mind if i used your fantasy world map for the book i am writeing. i dont plan on geting the book pulblished. but if i were to get that far i would say where i got the map from. Sure. Most of my maps are free to use – http://www.fantasymapmaker.com/free-fantasy-maps/. I’ve looked through all the maps and keep coming back to this one! Would love to see more!